“Considerable investment has been made in recent years to expand health workforce training in low- and middle-income countries,” said lead author Dr David Silvestri from Brigham and Women’s Hospital and Massachusetts General Hospital in Boston, United States of America. Health workforce retention is vital in emergencies – as we have seen in the current Ebola outbreak in western Africa. We need to rethink some of the policies aimed at attracting the best of the best to train and prepare them to serve where they are most needed,” Campbell said. “Without a rethink of education, deployment and equitable distribution of health workers, many health systems could be at risk of providing little or no care to rural populations,” Campbell said. This is an exercise in futility, and is very unprofessional. I’ve even seen a student get in trouble for documenting a physical finding on a patient who had been discharged already. Med school is similar to the military when it comes to respecting your place in the chain of command. Attendings “pimp” residents and med students. Residents berate med students. Thou shalt not berate up the chain. That said, the institutionalized nature of “pimping” does not absolve the word of its offensive and unethical practice. Eradicate it from your vocabulary and practice. “Most of the time it is to show power, how smart they are and embarrass those lower in the “Hierarchy”. If residents and attendings really want to teach, than have a real discussion of the issues. Yes, ask questions but don’t berate someone if they don’t know the answer. Good attendings approach it like that, and if a student or resident doesn’t know the answer, they are told to look it up. A few times, when I was a student, a hotshot resident would try to “pimp” me and they had the wrong answer and tried to correct me. I looked up a relevant article and proved my position. There is nothing wrong with that, as long as it is done respectfully. Seriously, this is a huge no-no. If you want to make your life miserable, make the nurses hate you. If you want to enjoy your time at the hospital, befriend every nurse you meet. Dressing appropriately is important, and applies to men as well as women. For example, no sandals, no jeans, no T-shirts (unless they’re under scrubs), a mohawk wouldn’t go over well, nor would wearing 4-inch stiletto heels, or a need to exhibit one’s cleavage. There’s a time and a place for everything, and the hospital is not a place to dress provocatively. If you discover that a patient has rebound tenderness, or a temperature of 103.7, don’t write this in a note and walk away. You must always alert your higher-ups to significant findings, or else you will find yourself getting chewed out for a good while. This is a particular pet peeve of mine, and one that some students seem to think is insignificant. People notice when you’re late. It’s unprofessional and disrespectful to the rest of the group. Traffic is not an excuse. Leave your residence early enough to get to the hospital with plenty of time to spare. If the resident walks in on you placing a central line on a patient without their authorization, you will find yourself in deep trouble with the doctor, hospital, and potentially a courtroom. This is something that is easier said than done. We spend so many hours in the hospital that it’s easy to forget that we are surrounded by very ill, helpless, and frightened people. It’s not a high school football game; it’s a hospital. Patient’s lives are in the hands of the healthcare workers surrounding them. We are each one of the healthcare workers. We all have seen students who try to get by with the bare minimum in everything they do. If you want to throw away a ridiculous amount of money, not learn anything, and end up being a crappy doctor, then by all means slack off during your clinical years. 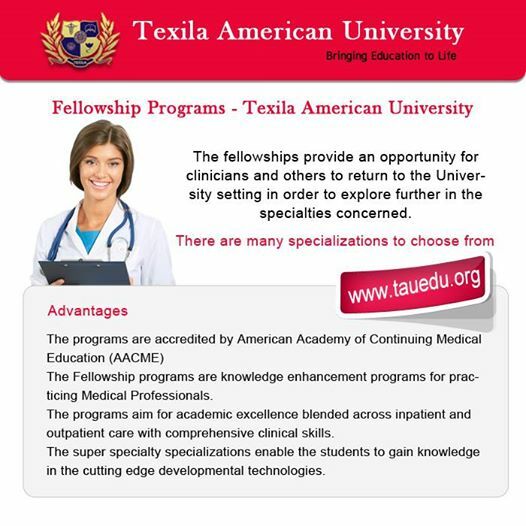 If you want to learn a lot and become an incredible doctor, then put in the time and effort. “This observance is a way to show the society how important doctors are in our lives but has everybody thought how, even, we are denied our basic rights by the autocratic Delhi University administration,” said the aggrieved faculty members in a statement. “Being doctors, we realise our duty towards patients and that’s why we deliberately avoided the options of strike and disruption of OPD and emergency services. We only wore black bands to raise our issues. In the evening we once again gave our representation in MHRD,” said Dr Satendra Singh, assistant professor of physiology at the UCMS. According to the statement, the UCMS doctors are under the University of Delhi and henceforth the University Grants Commission (UGC) and the Ministry of Human Resource Development (MHRD), while other sister medical institutions like Maulana Azad Medical College (MAMC), Lady Hardinge Medical College (LHMC) and even all other state run medical colleges are under the Centre or State run Ministries of Health and Family Welfare (MOHFW). There the faculty can concentrate on quality of medical teaching and patient care as the promotions and pay scales of teaching medical faculty are determined by the Dynamic Assured Career Progression [DACP] scheme as laid down by the 6th Central Pay Commission Report, i.e. time bound promotions. “The terms and conditions of DACP were brought into enforcement vide notification to UGC gazetted on 18th September 2010. The notification categorically directed UGC under clause no 1.1.1 that all medical faculties appointed medical teachers in Central Universities shall be governed by the norms of MOHFW i.e. time bound promotions. This was to be made effective for medical teachers of UCMS, AMU (Aligarh Muslim University) and BHU (Banaras Hindu University) from 31st December 2008. However, the dictatorial administrations of DU have not taken any heed to this constitutional right of medical teachers of UCMS,” it said. “Being under DU, no pay protection is given to doctors who have to join at salaries lower than what they were given under the residency scheme of MOHFW. Unlike medical colleges under MOHFW which safeguard the financial and promotional interests of medical faculty, DU equates medical faculty to any other faculty in colleges under DU,” according to the faculty members. “The VC of BHU provided pay protection to medical faculty in BHU, but the VC of DU even denied that. Faculty members having completed even upto eight years of service are given salaries less than resident doctors. This has made UCMS one medical college with the highest faculty attrition rate. In the last three months, 17 permanent faculty members have left UCMS and joined as assistant professor by sacrificing their current experience on which they should have been either associate professor or professor. In the past three years, almost 25 faculty members have left for Centre or State run MOHFW medical institutes like MAMC, LHMC, new AIIMS, state medical colleges and even private practice,” said the faculty members. 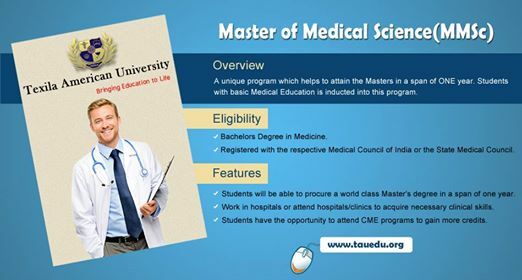 “The university system focuses purely on research for promotion of their faculty, while as medical teachers, faculty at UCMS and all medical colleges should be focussing on teaching medical students and patient care. Lack of transparency in the promotions in DU has made it one of the worst career options for medical faculty, who quit UCMS for greener pastures which offer them time bound promotions and better salaries. Every doctor is under the Hippocrates Oath, swearing for patient care and teaching his peers and juniors. But we are humans too and not demigods. Denial or delay of our constitutional rights has forced many to seek judicial help and tangent us away from the oath,” they added. 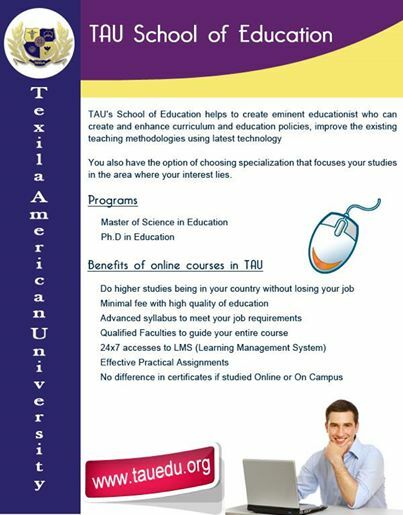 TAU’s School of Education helps to create eminent educationist who can create and enhance curriculum and education policies, improve the existing teaching methodologies using latest technology and maximize the learning capability of students by understanding their skills, background and needs. 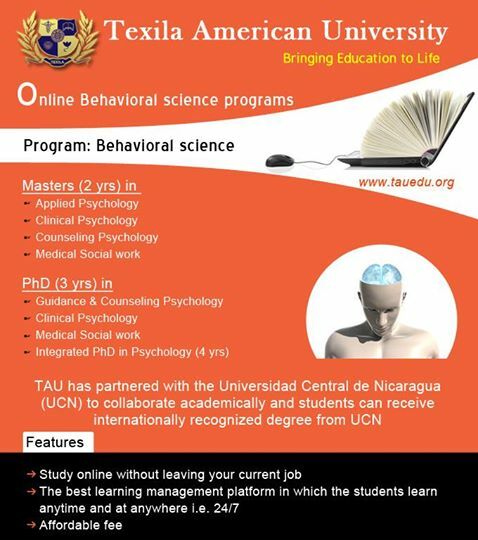 Our advanced online learning system provides you with the flexibility and support to study anytime, anywhere to balance work, life and study. You can achieve your fully accredited Degrees in Information Technology at a time that suits you. To tide over the acute shortage of medical specialists in India, the country needs medical educational institutions on the line of the College of Physicians and Surgeons (CPS) in Maharashtra which would offer diploma courses in fields like anaesthesia, gynaecology, and paediatrics to medical graduates, according to experts. 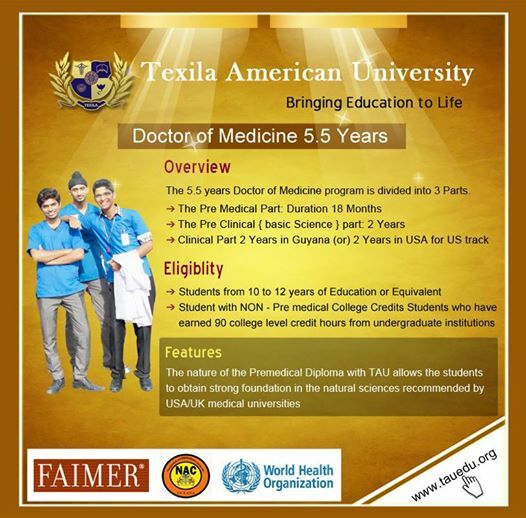 Talking about the acute shortage of medical specialists in the country, Dr Devi Shetty, founder and chairman, Narayana Health, recently pointed out that while the US has 19,000 undergraduate medical seats and 32,000 postgraduate seats, in India it is the opposite – the country has close to 50,000 undergraduate medical seats but only 14,000 PG seats. “The low number of PG seats results in a shortage of specialists. This can have terrible consequences on the ground. For example, India has one of the highest maternal mortality rates in the world and this is unrelated to the amount of money we spend on healthcare. The reason is that we have created a regulatory structure where only a specialist can perform certain tasks, and the country simply doesn’t produce enough of these specialists,” he said. Dr Shetty suggested that to tide over the problem, the country needs medical educational institutions on the line of the College of Physicians and Surgeons (CPS) in Maharashtra which would offer diploma courses in fields like anaesthesia, gynaecology, and paediatrics to medical graduates. Dr Shetty was speaking at ‘The Future of Healthcare: A Collective Vision’, a global healthcare conference that was held here on March 3-4. The event, hosted by The Healthcare Alliance, witnessed the participation of thought leaders, policy makers, senior government officials, and business and health leaders from over 15 countries. “We have over 800,000 ASHAs (Accredited Social Healthcare Activists) in India but they are ill trained and don’t have any medical skills. Their costs are a huge burden on the exchequer and nothing gets accomplished in return. All we have to do is to upscale their skills so that they can be the eyes and ears of the healthcare system on the ground. They need to monitor hygiene and find out who in the community needs medical assistance. This will be a big help in ensuring quick diagnosis of diseases and reducing the incidence of NCDs (non-communicable diseases),” Dr Trehan said. “A healthcare ecosystem would be created in future where different silos begin to talk to each other about patients and exchange information. Healthcare delivery is going to become more personalized in terms of tailor-made treatments for an individual,” he added. He also emphasized that the onus of taking charge of one’s health has to rest on the individual. “We need to be more concerned for what we do to our health rather than what healthcare would do to us. We need to take ownership of our own bodies and mind and not outsource these to healthcare providers. People need to focus more on preventive care rather than just landing in sick care – this is going to the mantra of healthcare in future,” he said. Dr Shetty expressed concern about the nursing profession in India, which he said would die down in a few years if urgent measures were not taken. 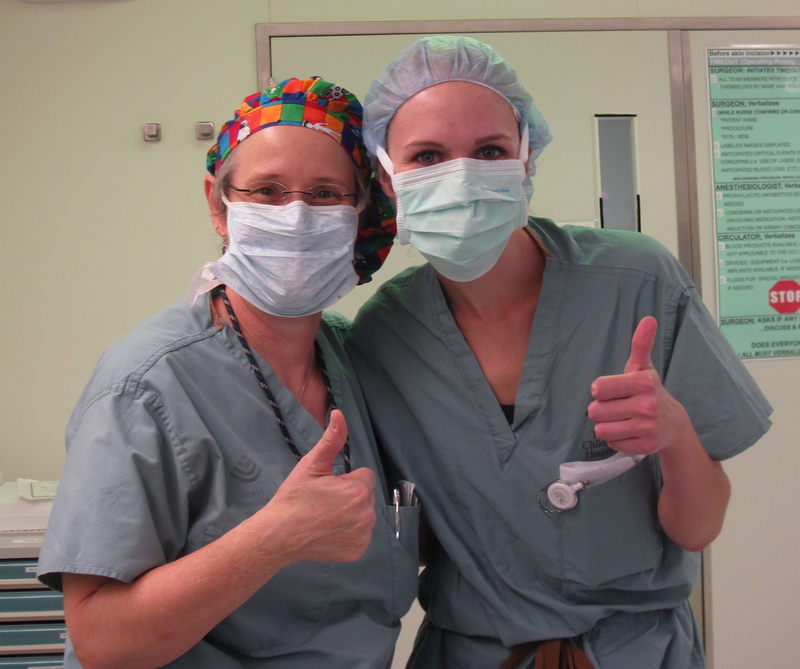 “There is zero career progression for nurses. 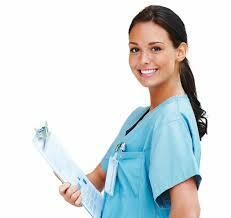 Nursing is now considered a dead-end career. Admissions to nursery colleges in India have come down by 50 per cent. Half of the nursing colleges in Karnataka have shut shop. In the years ahead, there will be an acute shortage of nurses in the country,” he said. Dr Shetty also highlighted the need to look for alternative ways of funding healthcare, such as by a surcharge on mobile phone bills, to bring down the cost of building hospitals, develop patient management software, and establish one or two health cities with 3,000 to 5,000 beds in each metro where cutting-edge work can be done.